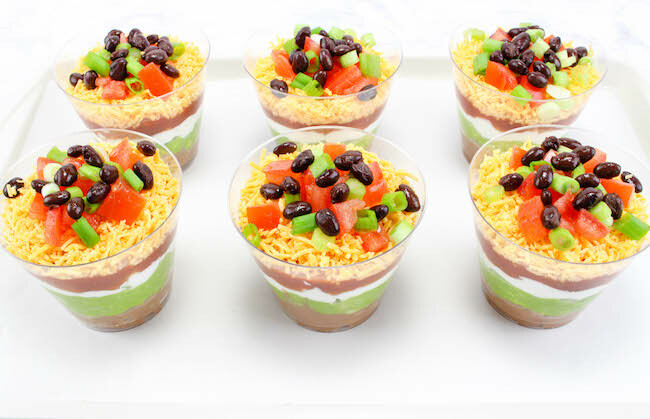 Mexican Layer Dip Individual Cups Recipe | Be Plum Crazy! 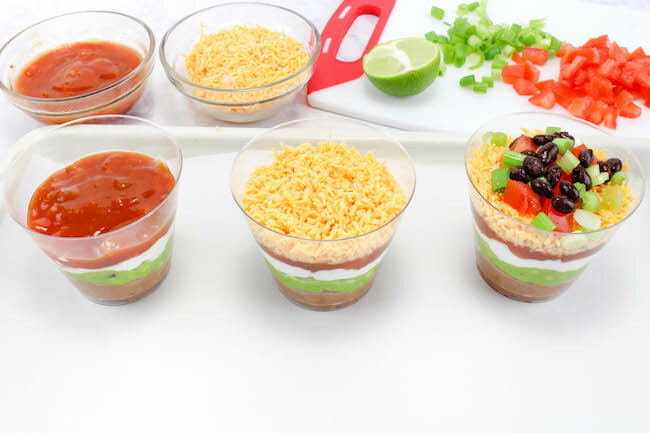 The Ghost Pepper Salsa Mexican Layer Dip Individual Cups Recipe is brought to you by Just Plum Crazy. I received the product mentioned below in order to create the recipe. All opinions are my own and may differ from yours. 1. 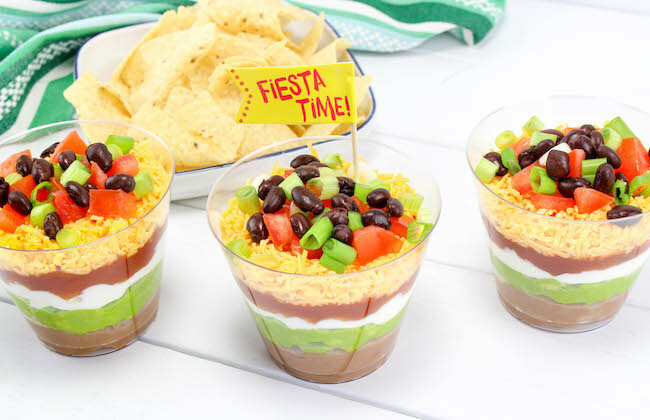 Start with putting a layer of refried beans in the bottom of each cup. 2. 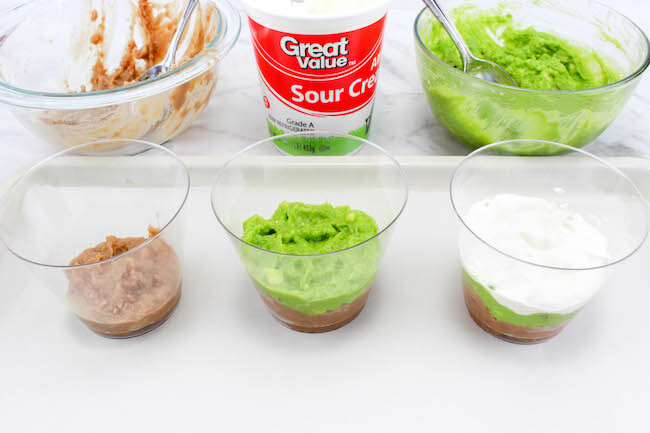 Add a layer of guacamole, then a layer of sour cream, and finally a layer of Mrs. Renfro’s Ghost Pepper salsa to each cup. 3. Next, sprinkle on a layer of shredded cheese into each of the cups. 4. 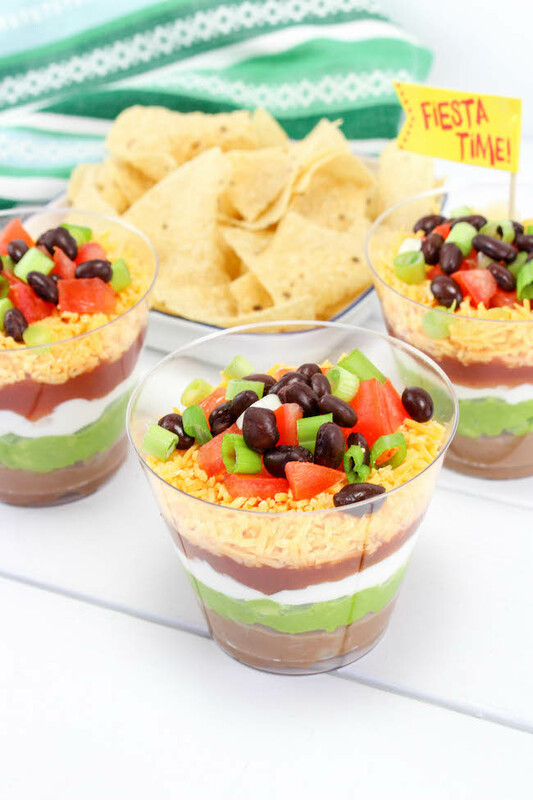 Garnish with the black beans, green onion, and tomatoes by putting a few of each on top of each cup. Squeeze a bit of lime juice over each cup if desired. 6. Great single serve appetizers for any party! 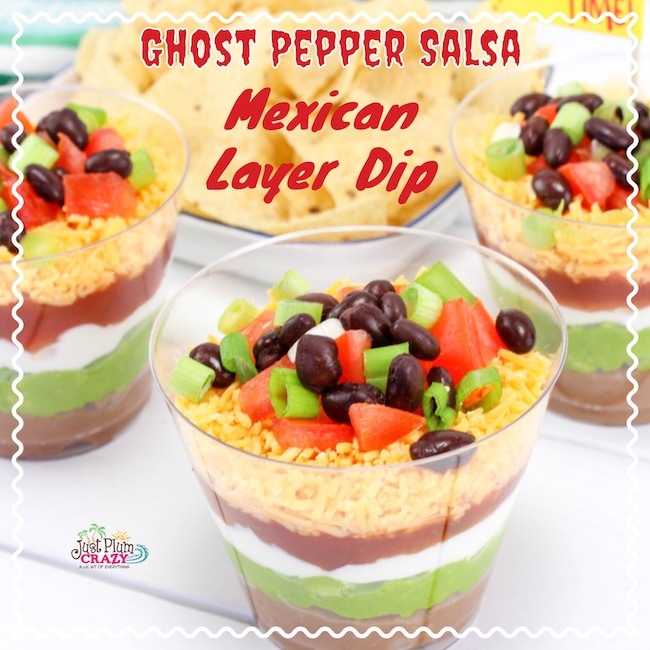 The Ghost Pepper Salsa Mexican Layer Dip Individual Cups Recipe is super easy. 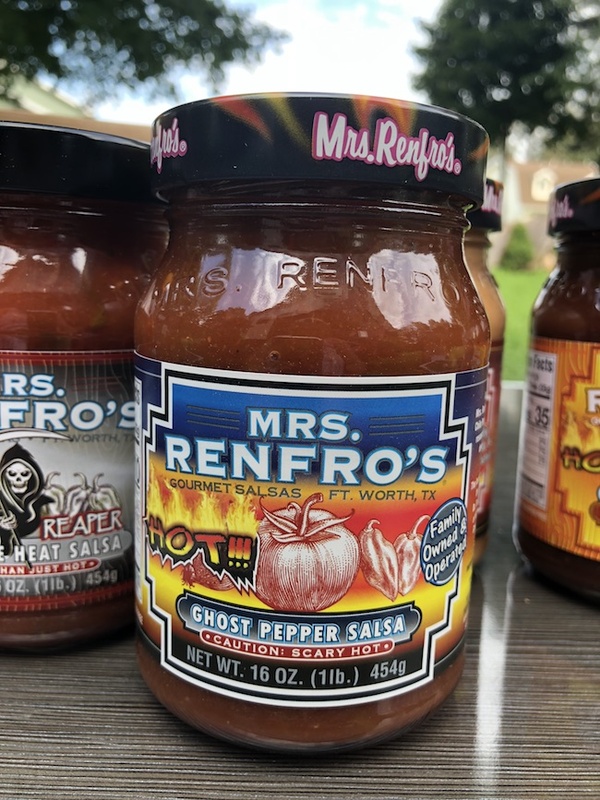 Now is the time to stock up on Mrs. Renfro's Ghost Pepper Salsa. 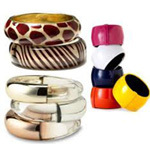 6 Clear Plastic Cups 8 oz. 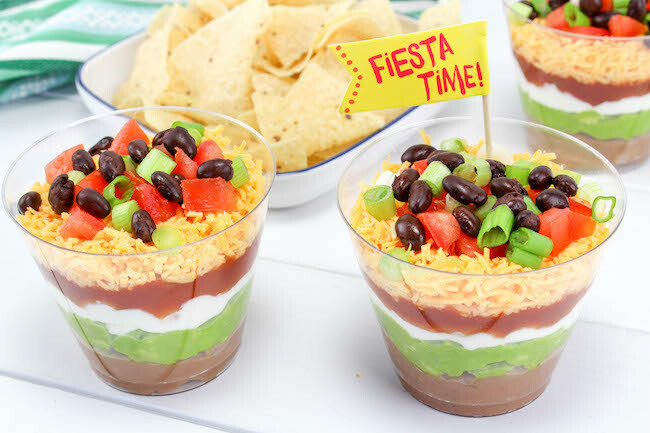 Start with putting a layer of refried beans in the bottom of each cup. Add a layer of guacamole, then a layer of sour cream, and finally a layer of Mrs. Renfro's Ghost Pepper salsa to each cup. Next, sprinkle on a layer of shredded cheese into each of the cups. 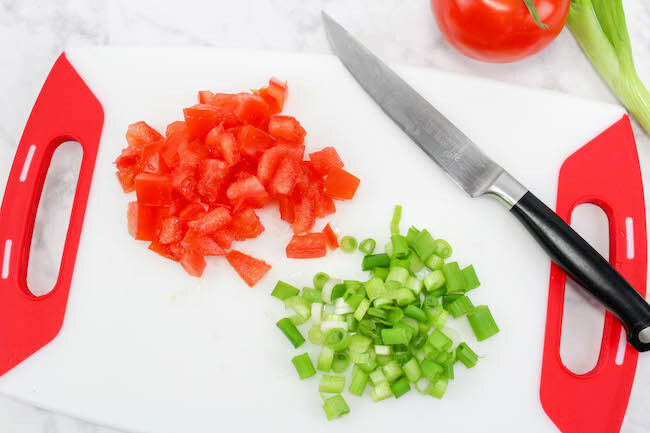 Garnish with the black beans, green onion, and tomatoes by putting a few of each on top of each cup. Squeeze a bit of lime juice over each cup if desired. 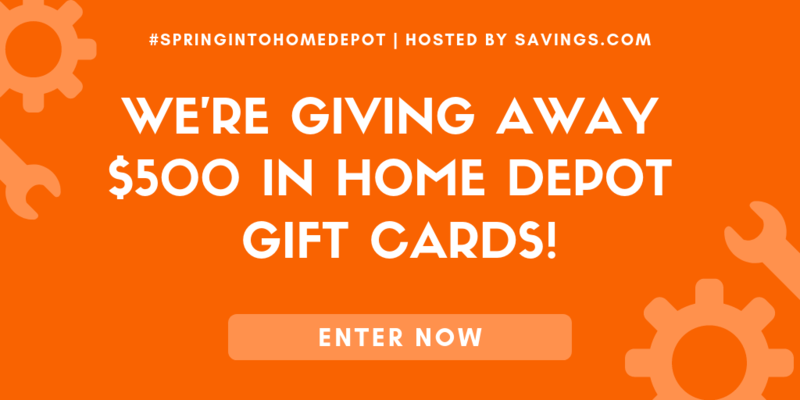 Great single serve appetizers for any party! Yum! 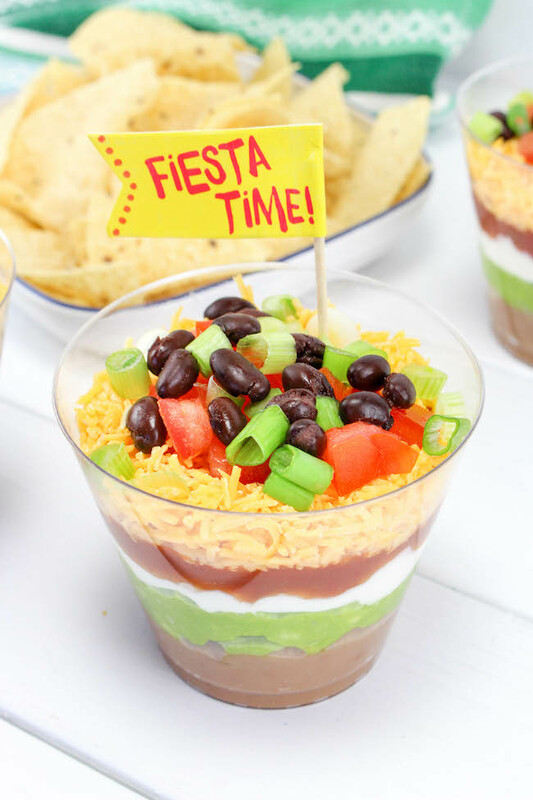 This dip sounds delicious, thank you so much for sharing the recipe! I will definitely be making this soon.